This serum thightens my skin, which certainly gives me the impression it works on my fine lines! My skin feels hydrated, fresh and soft after using this serum. This is a lovely serum to use. Slightly more expensive than wat I usually pay (about 35 EUR for 30 ml), but I am certainly tempted to buy this product! 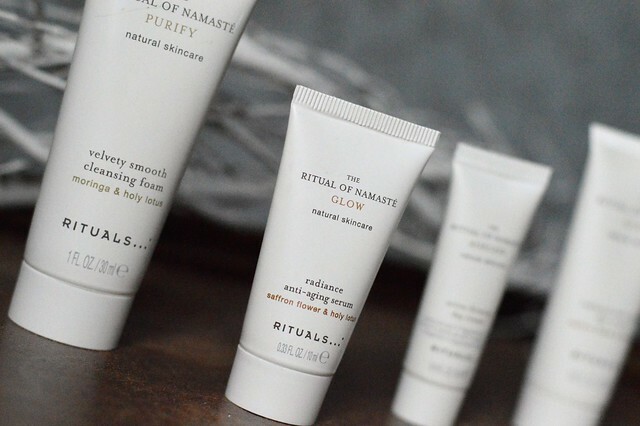 Rituals products are lovely. I’ve only tried bath and body care so far, but I’m tempted by this. You should give it a go! This serum was my favourite of the 4 beauty products I tried. Ik ben zeker fan van Rituals, maar gelaatsverzorging heb ik er de laatste jaren niet meer van gebruikt. Ik vind deze reeks wel fijn om te gebruiken. Ik had 4 mooie samples om ze uit te proberen. 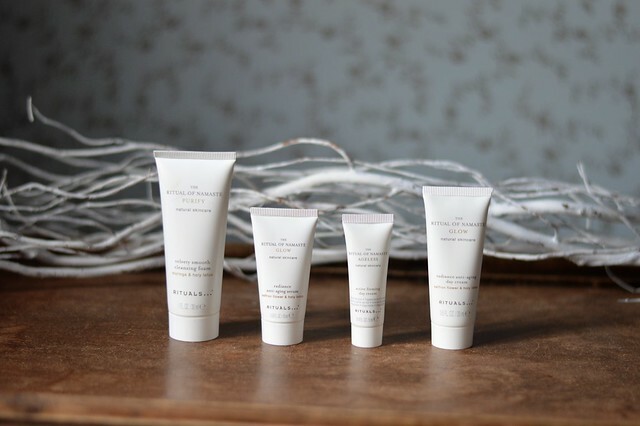 Ik was vnl fan van de cleansing foam en het serum. De crèmes waren wel ok hoor, maar niet speciaal.